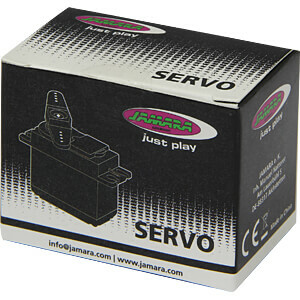 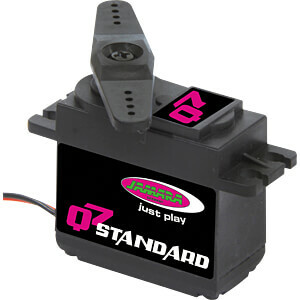 Ball bearing analog servo with plastic gear in standard size. 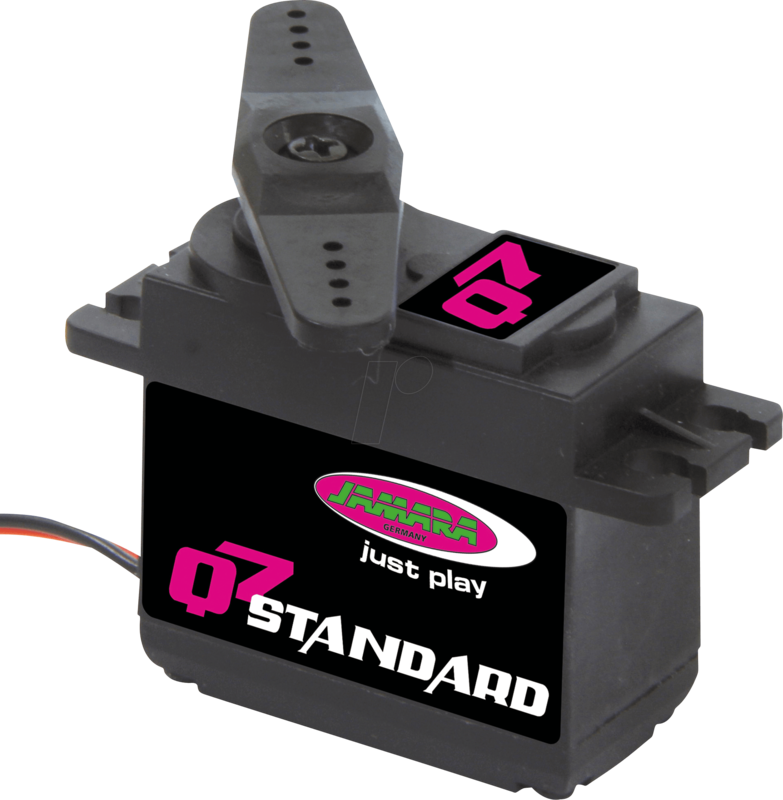 With its 6.2 kg actuating force, the Q7 Standard servo is well equipped for common standard tasks. 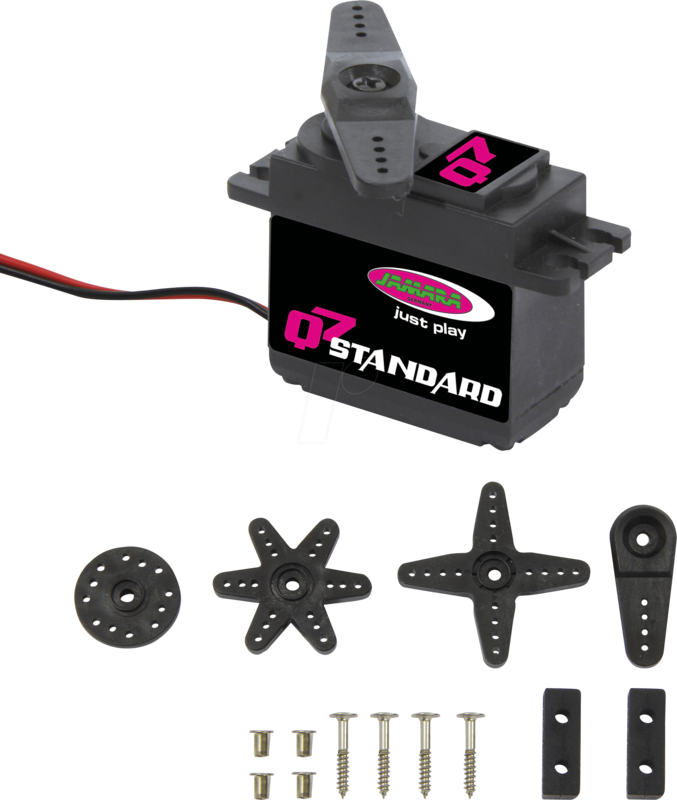 Due to the high manufacturing quality and the use of high-quality components, it is popular with both model builders and industry. 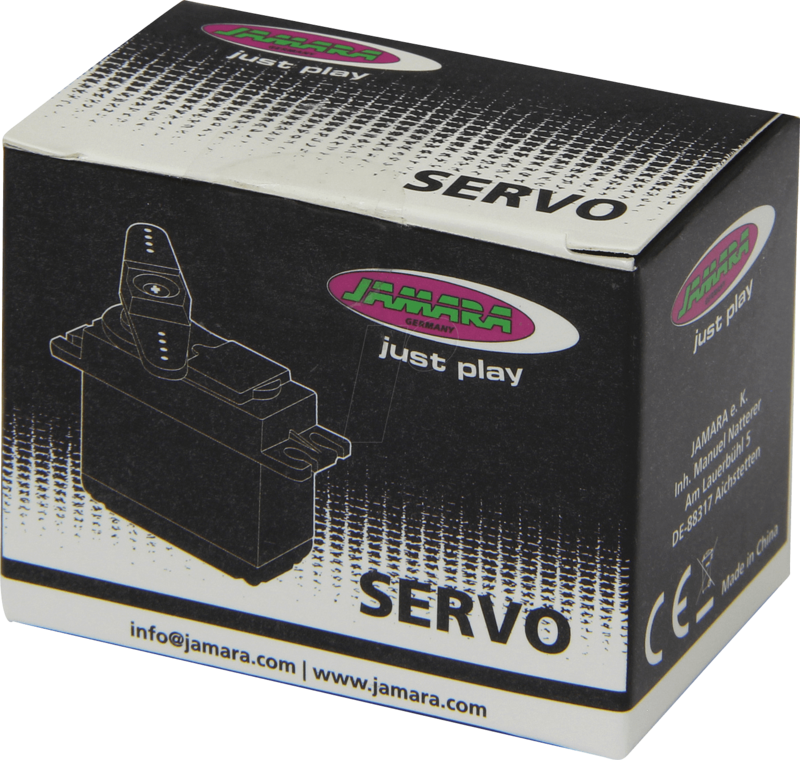 The high cycle stability and trouble-free operation even under difficult conditions make it the ideal component for automation.